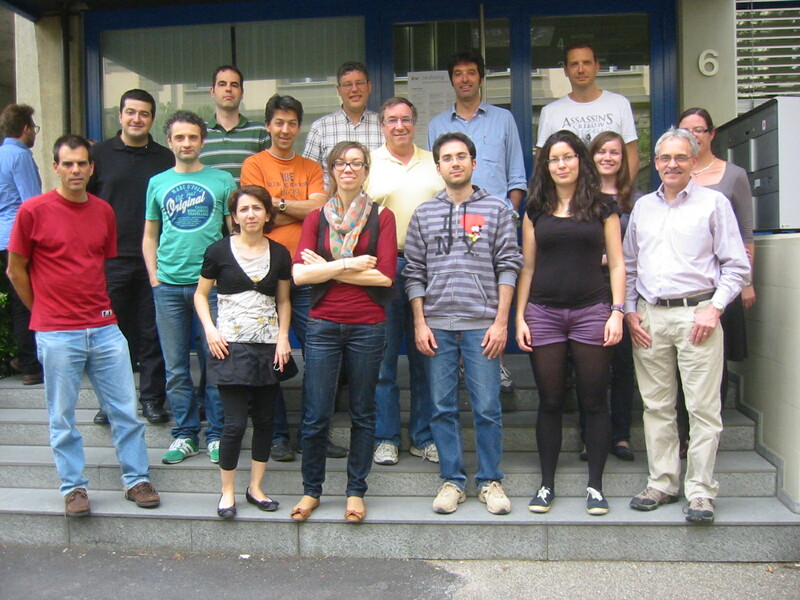 Some members of the NGC 5548 consortium at our second meeting at the International Space Science Institute, Bern, Switzerland. I (Megan Whewell) began my PhD at MSSL last October, and have written before on this blog about why I decided this was the right path for me. This post is focussed on my work since arriving at MSSL and the publication last week of the first peer-reviewed research I have been involved with, meaning that I am a co-author on an academic paper for the first time! Hello, I am Dr Myrto Symeonidis a postdoctoral researcher at UCL’s Mullard Space Science Laboratory (MSSL), and this week I will be telling you about some of my research here at MSSL on galaxies “in their teenage years”: some of the youngest, dustiest and most energetic, galaxies in the Universe. For most people, the word “astronomy” brings to mind beautiful, colourful images of galaxies taken by the Hubble Space Telescope. Those images are usually showing you what galaxies look like in the optical part of the electromagnetic spectrum. However, few people realise that what we can “see” with our own eyes is only a very small part of the picture. 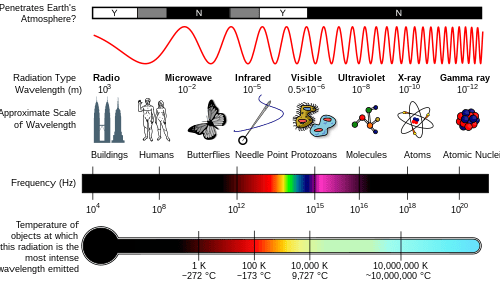 In fact, more than half of the total light produced by all galaxies in the Universe since the beginning of time emerges as infrared radiation, invisible to the human eye. The reason is dust. Cosmic dust is somewhat of a misnomer; unlike the dust that you find in your home which has many constituents, cosmic dust is a conglomeration of tiny grains of rock-like material typically of carbon and silicon. It is prevalent in all galaxies and readily absorbs ultraviolet and visible light, subsequently re-radiating it in the infrared. Discovering the dust-obscured side of the Universe was one of the major scientific breakthroughs of the last century, enabling us to make immense progress in our understanding of the cosmos. 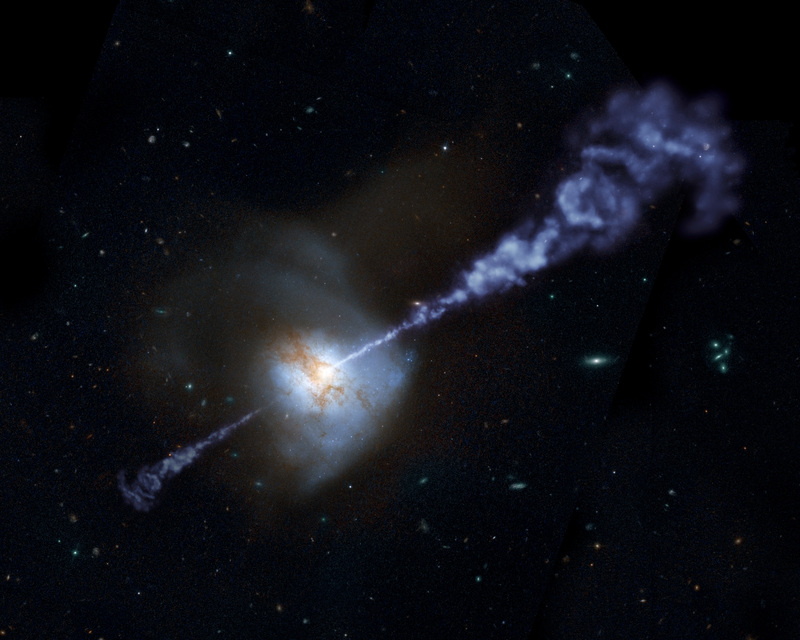 Star Formation or Supermassive Black holes? Since the start of my career in astronomy I have been very keen to make sense of the role of dust in galaxy formation and evolution. One reason is that the dust content of a galaxy is intricately linked to its ability to make new stars, what astronomers refer to as the ‘star-formation rate’. The most dusty galaxies appear to make the most stars, which means that, on a cosmic scale, dust-rich galaxies are the main contributors to the total cosmic energy budget. The other main way in which galaxies release energy into the cosmos are through Active Galactic Nuclei (AGN). This is a mundane name for an awesome phenomenon: AGN are supermassive black holes (many billions of times the mass of the Sun) that reside in the centres of galaxies and devour all infalling matter. In the process of consuming matter, AGN release copious amounts of energy. To understand the energy content of the Universe we therefore need to disentangle the contributions from star formation and AGN. Measuring star-formation rates in galaxies that host AGN is a challenging feat because in many cases the AGN is luminous enough to completely drown the stellar emission from its host. To make things even more challenging, dusty galaxies were far more common in the early Universe, and thus identifying and studying them requires cutting-edge observational facilities to look back in time. 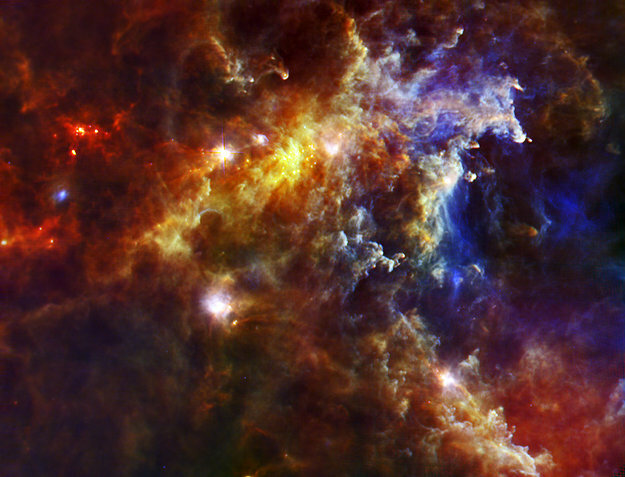 We are now fortunate to be living in the most data-rich era that infrared astronomy has ever seen, thanks to the Herschel Space Observatory, one of ESA’s most ambitious missions. Herschel is the largest space telescopes ever launched and is the only facility to date and for the foreseeable future that can span the part of the electromagnetic spectrum in which most of the Universe’s radiation from galaxies emerges. 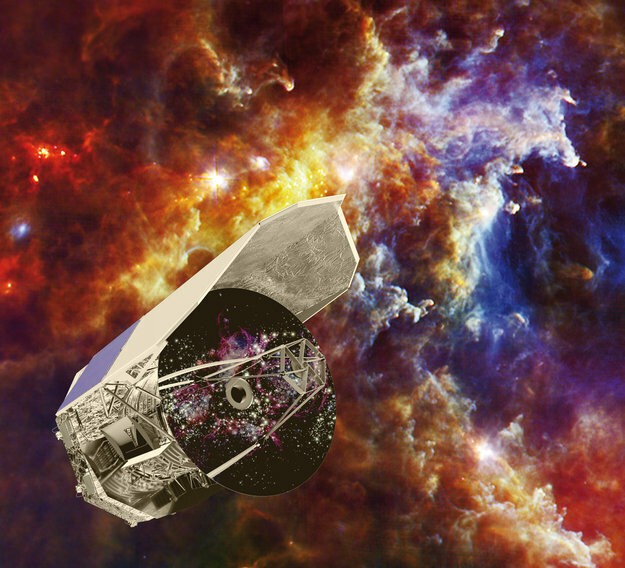 MSSL has had a major role in the Herschel mission since its conception, with particular involvement in designing and building Herschel’s Spectral and Photometric Imaging receiver (SPIRE). Seeing the planing, building and eventual scientific results from space missions is one of things that makes MSSL such an exciting place to work. The mechanical and thermal engineering group at MSSL assembled and tested the whole SPIRE structure, additionally providing key components such as thermal straps, detector boxes, mirror mounts and filter holders. Moreover, since Herschel’s successful launch in 2009, the MSSL astronomy group has been heavily involved in the exploitation of Herschel data with a strong focus on measuring the physical attributes of the primary energy production mechanisms in dust-rich galaxies, determining how these mechanisms interact and charting the changes in their characteristics back to when the Universe was less than a quarter of its current age. With the advent of Herschel, we have been able to exploit the far-infrared part of the electromagnetic spectrum, where the energetic balance between AGN and star-formation tilts towards the latter. Taking advantage of Herschel data in a recent project that was led by the MSSL Herschel team, we were able to measure the star-formation rates of the galaxies which host the most powerful AGN at the time when the Universe was less than half its current age. We discovered that although the host galaxies of AGN experience intense star-formation, if the AGN becomes powerful enough it seems that it is able to slow down and eventually terminate the star-formation, placing the whole galaxy in a rapid course towards old age. Although we still have a long way to go with respect to solving the mysteries of the cosmos, thanks to Herschel we are now step closer to understanding how galaxies evolve, from young ,dusty and active into old age.